As the Society Hill and Droyers Point expert with knowledge of the community, my objective is to work diligently to assist you in meeting your real estate goals. If you are considering buying a home or would just like to have additional information about real estate in the community, please don't hesitate to call (201) 240-7117 or e-mail me societyhillsales@aol.com. I can show you any home that's available For Sale in the community. 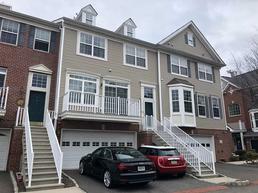 Picture yourself in this beautiful two bedroom 2.5 bath Townhouse with honey-maple wood floors throughout, and plenty of windows that deliver lots of natural sunlight. This move-in ready home features central air and its own laundry room with a washer and dryer. It offers a kitchen with granite countertops, 42 inch cabinets and a stainless steel refrigerator. At approximately 1,491 square feet, you will find a double sink bathroom vanity, soaking tub and shower stall in the master bath. Parking is a breeze because this home has a two car garage and its own dedicated driveway for an additional two cars. This gated, walking-friendly community of Society Hill at Droyers Point features sidewalks and beautiful tree-lined streets, gym, pool, playground and a waterfront promenade. Commuting is easy because you are close to the Hudson-Bergen Light Rail and walking distance to a Bus Route. Call Maria Batista at 201-240-7117 to schedule an appointment. Click the photo to view interior pictures. Possibly the nicest view in the community. This Direct Waterfront Columbia model is the largest home the community offers and has high ceilings, wood floors, large open kitchen with granite countertops and stainless steel appliances, large master bedroom suite with a walk-in closet and a spa-like bath. At approximately 2,150 sq ft there's plenty of room for everyone and parking won't be an issue as this home comes with a driveway and garage. 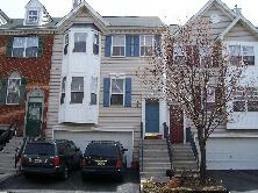 Spacious and Bright 3 Bedroom Corner Townhouse with 2 Full and 2 Half Baths. You'll love the open floor plan of this home which also features an eat-in kitchen with plenty of cabinets, living room, dining room, and a large family room. The master bedroom features cathedral ceilings, and a spa-like bathroom with a soaking tub, double sink vanity and a shower stall. At approximately 1,866 sq. ft. this home has it all including central air, in-unit washer/dryer, bay windows, balcony and 4 car parking (2 cars in the garage and 2 cars in the driveway). Conveniently located close to the clubhouse, pool, playground and gym. An easy five minute drive to the Hudson-Bergen Light Rail. Call Maria Batista today at 201-240-7117 to schedule an appointment. Click on the exterior photo to view interior pictures. 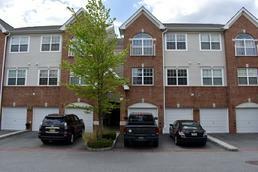 Gorgeous 2 Bedroom, 2.5 Bath Corner Albright Townhouse with gleaming hardwood floors and many upgrades. This open layout features a Living/Dining room, Fireplace, recessed lights and two outdoor spaces. Come home and relax in your master bedroom suite with a spa-like full bath and a balcony overlooking the water. Approximately 1,444 sq. ft. Call Maria Batista today at 201-240-7117 for an appointment. Click on the photo to view interior pictures. This well maintained home features an open living/dining room with gleaming hardwood floors and a balcony. The modern kitchen opens up to the living room and offers granite countertops. The spacious master bedroom offers a walk-in closet and an ensuite master bathroom with a two sink vanity and a tub. The second bedroom is spacious and offers a nice sized closet. This home also features an in-unit washer/dryer, central air, plantation shutters and a possible bonus room on the ground floor. Parking is easy as this home comes with 2 parking spaces. One in the garage and one in the driveway. Enjoy all that Droyers Point has to offer including a park-like setting, gym, playground, security and a waterfront promenade. Call Maria Batista at 201-240-7117 to schedule a viewing. Approximately 1,491 sq. ft. Click on the photo to view interior pictures. Droyers Point's largest model. This 3 Bedroom, 2.5 Bath Corner unit Columbia model offers hardwood floors throughout and an elevator. DIRECT WATERFRONT LOCATION. Short Sale. Offers are subject to third party approval. Call Maria Batista today at 201-369-0099. Approximately 2,150 sq. ft. Click on the photo to view interior pictures. This highly desired top of the line Oxford Model is sure to please even the pickiest of buyers. Great open floor plan with 3 Bedrooms and a bonus room that can be used as a Fourth bedroom. This home also offers gleaming bamboo wood floors throughout, heated tiled floors, custom tile work, 2 Full and 2 Half Baths, Eat-in kitchen with rich cherry wood cabinets and granite countertops, central air, balcony, ceiling fans and 4 car parking (Garage & Driveway). Call Maria Batista today at 201-240-7117. Approximately 1,866 square feet. Click on the photo to view interior pictures. Don't miss out on this priced to sell Stanford model townhouse. This home offers hardwood floors, central air, balcony, in-unit washer/dryer and a 2 car garage. Approximately 1,491 square feet. Call Maria Batista today at 201-240-7117 to schedule your viewing. 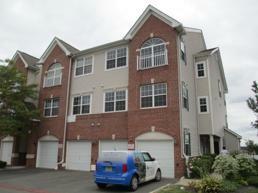 Desirable 2 Bedroom, 2.5 Bath Stanford Townhouse with a great open view. This home features hardwood floors, 42" kitchen cabinets, central air, storage + a 2 car garage. Master bedroom suite offers a walk-in closet and a private bath with a double sink vanity. Approximately 1,491 sq. ft. Click on the photo to view interior pictures. Call Maria Batista at 201-240-7117 for more information or to schedule an appointment. You'll Love this extremely rare East Facing 1 Car Garage Stanford Model with a Large Bonus Room. 1 of only 9 in the entire community. This Townhouse features an open Living/Dining Room with gleaming hardwood floors, modern kitchen with 42" cabinets and Corian countertops, in-unit Washer/Dryer and a Balcony. At approximately 1,700 square feet you'll find a double sink vanity as well as a soaking tub and stand up shower stall in the spa-like master bathroom, 2 nice sized bedrooms with plenty of natural light and upgraded berber carpet, 2 zone heating and cooling, plenty of storage and closet space and a Bonus Room that can be used as a Family Room or Office. Click on the photot to view interior pictures. Call Maria Batista at 201-240-7117 for more information or to schedule an appointment. 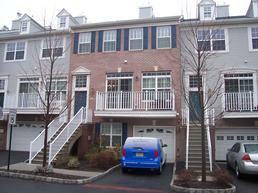 Gorogeous 2 Bedroom, 2.5 Bath Stanford Model Townhouse 30 Tellicherry Ct Procured Buyer. If you are thinking of Buying or Selling, Give Maria Batista a call at 201-240-7117. She'll Get the Job Done! 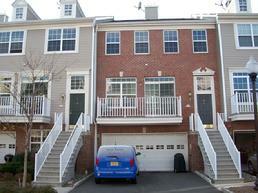 Considered one of Droyers Point's Best Locations, this 2 Bedroom, 2.5 bath Albright model townhouse is sure to please. This open floor plan features hardwood floors, fireplace, modern kitchen with stainless steel appliances, master bedroom suite with a balcony overlooking the water, a huge walk-in closet and a spa-like private bath with soaking tub, double sink vanity and a stand up shower stall. This home also features an in-unit washer/dryer, central air, patio, driveway and garage. Enjoy those spectacular sunsets from practically every room in the house. Approximately 1,444 sq. ft. Click on the photo to view interior pictures. Call Maria Batista at 201-240-7117 for an appointment to view this home. Best Location in Society Hill! Extremely unique 2 bedroom, 1.5 bath Waterfront Corner Townhouse on quiet cul de sac with adjacent open space. This home has been architecturally designed and completely reconfigured with expanded rooms and upgraded heat/air and hot water systems. Quality materials throughout including maple wood floors, ceramic, handmade and stone tiles, wrought iron railings, Murano glass chandeliers, cast iron whirlpool tub for two, stainless steel appliances and so much more. Driveway and Garage. Fireplace, Balcony, Patio and in-unit washer/dryer too. Approximately 1,700 sq. ft. Click on the photo to view interior pictures. Photos do NOT do this home justice. Call Maria Batista at 201-240-7117 for an appointment to view this one of a kind home. Gorgeous 3 Bedroom Corner Oxford Model with Hardwood Floors and many custom upgrades. 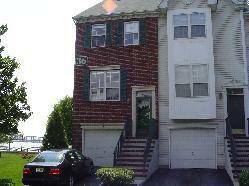 23 Swan Ct., Maria Batista Procured Buyer. If you are thinking of Selling, Buying or Renting, give Maria Batista a call at 201-240-7117 (cell). She'll Get the Job Done! Exquisite Bambo Wood Flooring throughout this 2 Bedroom, 2.5 Bath Stanford Model Townhouse which offers a spacious living room, dining room and modern kitchen with Granite countertops and a ceramic tile floor. Master Bedroom Suite offers cathedral ceilings, walk-in closet and a spa-like bathroom. This home also offers in-unit laundry room, 2 Car Garage, Central Air and a Balcony. Approximately 1,491 sq. ft. Click on the photo to view interior pictures. 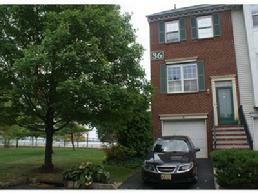 Call Maria Batista at 201-240-7117 for an appointment to view this home or any home in Droyers Point. 3 Bedroom Oxford Model with hardwoof floors throughout. 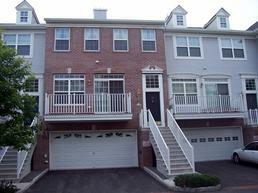 8 Paulusen Ct. Maria Batista Procured Buyer. If you are thinking of Selling, Buying or Renting, Give Maria Batista a call at 201-240-7117 (cell). She'll Get the Job Done! When Only The Best Will Do! This 3 to 4 Bedroom Corner Oxford model is unlike any other you'll see. It features a renovated European kitchen with top of the line Miele Stainless Steel appliances, Granite Countertops. Bamboo wood flooring throughout and renovated baths. This home also features an open layout with a living room, rec room, dining room, and a large bonus room that can be used as a fourth bedroom or family room. The master bedroom suite offers cathedral ceilings, a spa-like bathroom and a walk-in closet. Walk-up attic for storage too. Click on the photo to view interior pictures. Call Maria Batista today at 201-240-7117 for an appointment. This is truly a rare find. This 2 bedroom, 2.5 bath Brick Front Stanford model Townhouse reflects originality and creativity in every room. It offers an efficiently designed kitchen with ample storage and counter space and 42" cherry wood cabinets, The open living and dining room offer gleaming hardwood floors, recessed lighting and plenty of space for entertaining, the master bedroom suite offers cathedral ceilings, a walk-in closet and a luxurious bath with a double sink vanity. This home also features a balcony, garage, 2 car driveway, central air and a laundry room. Approximately 1,491 square feet. Don't hesitate. Call Maria Batista today with any questions or to schedule an appointment (201) 240-7117. Carefree living can be yours at Droyers Point. CLICK ON THE PHOTO TO VIEW INTERIOR PICTURES. HERE'S THE ONE YOU'VE BEEN WAITING FOR! This 2 bedroom, 2.5 bath Brick Front Stanford model Townhouse offers a kitchen with Granite countertops and an extra deep stainless steel undermount sink and a custom backsplash, The living and dining room offer gleaming hardwood floors, crown moldings and plenty of space for entertaining, the master bedroom suite offers a walk-in closet and a luxurious bath with a double sink vanity. This home also features a balcony, garage, 2 car driveway, central air and a laundry room. Approximately 1,491 square feet. Don't hesitate. Call Maria Batista today with any questions or to schedule an appointment to view this home at (201) 240-7117. CLICK ON THE PHOTO TO VIEW INTERIOR PICTURES, GET ADDITIONAL INFORMATION OR TO SCHEDULE AN APPOINTMENT TO VIEW THIS HOME ONLINE. When Only The Best Will Do, this Renovated 3 Bedroom, 2.5 Bath Corner Townhouse has all the Bells and Whistles and is Larger Than the Oxford Model. This spectacular home offers gleaming hardwood floors throughout, a Large, Comfortable Living Room with a Fireplace, a Dining Room that can accomodate a full dining set, A master bedroom suite with a walk-in closet and spa-like private bath, an Extra Large Kitchen with 42" Cherry Cabinets, Stainless Steel Appliances and access onto a private Balcony and an Entertainment Sized Family Room with an adjacent outdoor patio. This home also features a 2 Car Heated and Air Conditioned Garage + a Driveway for 6 Cars. Plenty of Storage inside and out. Approximately 1,988 sq. ft. Don't Wait. Call Maria Batista at 201-240-7117 to schedule your private viewing today. CLICK ON THE PHOTO TO VIEW INTERIOR PICTURES, GET ADDITIONAL INFORMATION OR TO SCHEDULE AN APPOINTMENT ONLINE. DON'T SEE WHAT YOU'RE LOOKING FOR IN SOCIETY HILL @ DROYERS POINT? CLICK HERE TO SEE THE HOMES THAT ARE AVAILABLE FOR SALE IN THE OTHER PHASES OF SOCIETY HILL OR CLICK HERE TO BE PUT ON OUR WAITING LIST. Upgrades galore in this spectacular 2 bedroom, 2.5 bath Stanford model Townhouse. This home offers gleaming hardwood floors, open layout, upgraded kitchen, 2 car garage, central air and so much more. Approximately 1,491 square feet. Procured Buyer. WHEN ONLY THE BEST WILL DO! This 2 bedroom, 2.5 bath Stanford model Townhouse offers a kitchen with Granite countertops, stainless steel appliances, recessed lighting and 42" cherry wood cabinets. The living and dining room offer hardwood floors, the master bedroom suite with cathedral ceilings, walk-in closet and a luxurious, spa-like bath with a double sink vanity, soaking tub and a separate shower stall is perfect for relaxing. This home also features a balcony with water views, a 2 car garage + a 2 car driveway, central air and a laundry room. Approximately 1,491 square feet. Call Maria Batista to schedule an appointment to view this home at (201) 240-7117. Click on the photo to view interior pictures. 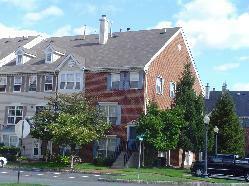 Fashionable 2 bedroom, 2.5 bath Stanford model Townhouse. This home offers a kitchen with stainless steel appliances, ceramic tile backsplash, and granite floors. The living and dining room offer hardwood floors, the master bedroom suite offers a private full ceramic tile bathroom and a walk-in closet. This home also features a balcony with water views, a 2 car garage/driveway and a laundry room. Approximately 1,491 square feet. Call Maria Batista today with any questions or to schedule an appointment to view this home or any home in Society Hill or Droyers Point (201) 240-7117. Click on the photo to view interior pictures. The wait is over. Droyers Point's largest model is now available. 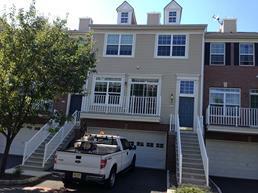 This 3 bedroom, 2.5 bath WATERFRONT Columbia Townhouse will not disappoint. This open floorplan offers cathedral ceilings, hardwood floors, fireplace, recessed lighting, 42" kitchen cabinets and granite countertops, a master bedroom suite with a private, spacious bathroom, private balcony, central air, laundry room and a one car garage. View of the Empire State Building. Enjoy the City's fireworks on the Fourth of July and on New Year's Day. Approximately 2,146 square feet. Click on the photo to view interior pictures. This Oxford model Townhouse offers plenty of natural light and offers an open floor plan with a living room, dining room, modern eat-in kitchen, family room, 2 full and 2 half baths, and an extra large rec room that can be used as a fourth bedroom. This home is loaded with over $50,000 in upgrades including hardwood floors, Corian countertops and vanities, recessed lighting, ceramic tile floors in kitchen and baths, Jacuzzi Tub, shower stall and so much more. Call Maria Batista now at (201) 240-7117 for an appointment to see this exciting buy. Approximately 1,866 square feet. Click on the photo to take a peek inside. Oxford model Townhouse with water views and an open floor plan with a living room, dining room, modern eat-in kitchen, family room, 2 full and 2 half baths, and an extra large rec room. Approximately 1,866 square feet. Procured Buyer. levels of living space and plenty of natural light. Only a handful of these were built. This unique home offers an open living/dining room with Hardwood Floors, a modern kitchen with upgraded 42" cabinets, Corian countertop and Stainless Steel appliances. The master bedroom suite offers a custom walk-in closet and an upgraded bathroom with a double vanity, Jacuzzi tub and a separate shower stall. This home also features a spacious Family Room, central air, laundry room and a one car garage. Approximately 1,600 square feet. Click on the photo to view interior pictures. LOCATION, LOCATION, LOCATION! Upgrades galore in this 2 bedroom, 2.5 bath Stanford model Townhouse with river views and an office. Hardwood floors, upgraded bathrooms, 42" kitchen cabinets, Corian countertops and stainless steel appliances. Open floor plan with plenty of natural light. Three floors of living space. Approximately 1,550 sq. ft. Click on the photo to view interior pictures. When Only The Best Will Do!!! This 2 bedroom, 2.5 bath WATERFRONT Townhouse has it all. It features an open floorplan with hardwood floors, recessed lighting, fireplace, modern kitchen with granite countertops, 42" cabinets and upgraded stainless steel appliances. The master suite offers a balcony overlooking the water and a private bathroom with jacuzzi tub, shower stall, cable tv hook-up and Corian Vanity. This pristine home also offers a laundry room, central air, garage and driveway. Approximately 1,444 sq. ft. Over $48,000 in Upgrades. Click on the photo to the left to view interior pictures. Upgrades galore in this 2 Bedroom, 2.5 Bath Corner Waterfront Duplex. This new construction also offers an open floorplan consisting of a living/dining room with hardwood floors and a fireplace, modern kitchen, recessed lighting, upgraded tile, laundry area, central air and a one car garage. Enjoy those spectacular sunsets. Albright Floorplan. Approximately 1,444 sq. ft. Click on the photo to view interior pictures and floor plan. SUPER RARE CORNER LOCATION. This 2 bedroom, 2.5 Bath Townhouse reflects originality and creativity in every room. It's flooded with natural light and offers an open floor plan with new laminiate wood floors in the living room, dining room and hall, A modern eat-in kitchen with a new floor and 42" cabinets, A master bedroom suite with a luxurious master bath offering a double sink vanity, Whirlpool tub and a separate shower stall, and a family room with a sliding glass door leading to a private patio. This home also offers central air, security system, balcony, driveway and Garage, laundry room, 9 Foot Ceilings and was Freshly Painted, Appliances and Window Treatments Included. Approximately 1,676 square feet. Click on the photo for more information and to view interior pictures. Call Maria Batista at 201-240-7117 to schedule an appointment to view this home or any home in Droyers Point or Society Hill. Largest 2 Bedroom in the Community. This townhouse offers 3 levels of living space with 2.5 baths and features hardwood floors, updated extra large kitchen with granite countertops, ceramic tile floor and backsplash and a sliding glass door leading to a spacious deck, a master bedroom suite with a private bathroom, family room with access to a patio, laundry room, central air, security system and a one car garage. This home has just been professionally painted and has custom lighting fixtures throughout. Approximately 1,676 square feet. Call Maria Batista today at 201-240-7117 to schedule an appointment to view this home or any home in Droyers Point or Society Hill. Click on the photo to view interior pictures. 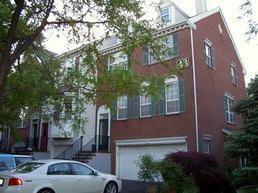 Nice and bright 2 bedroom, 2.5 bath duplex with hardwood floors and fireplace. Also features a modern eat-in kitchen with a ceramic tile floor, balcony, central air, laundry room, assigned parking and so much more. Approximately 1,286 square feet. Click on the photo to view interior pictures. Contact Maria Batista at 201-240-7117 to view this home or any home in Droyers Point or Society Hill. Three Bedroom, 2.5 Bath Corner Duplex with a southwestern exposure. In need of TLC but well worth the effort. 1,554 squre feet. Won't Last. Call Maria Batista at 201-240-7117 to view this home or any home in Droyers Point or Society Hill. Your eyes will not believe the amount of upgrades in this 3 Bedroom, 2.5 Bath Triplex with Family Room and 2 Car Garage. It features a living room with hardwood floors, fireplace and bay window. A dining room with hardwood floors, an extra large kitchen with granite countertops, stainless steel gas range, ceramic tile floors and access onto a private deck. This home also features a master bedroom suite, a patio, central air, upgraded garage door, laundry room and so much more. Approximately 1,988 square feet. Click on the photo to view interior pictures of this magnificent home.